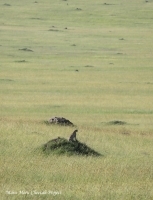 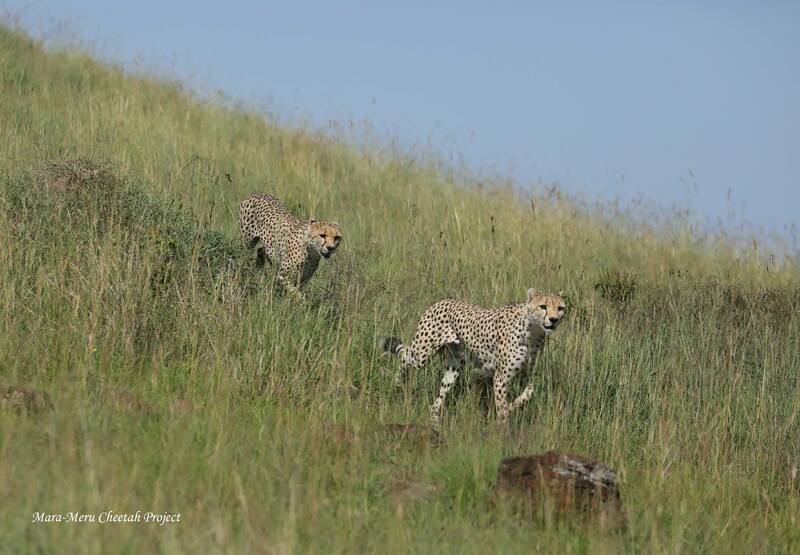 Cheetahs in heat cover vast areas leaving scent marks on the elevated objects for the possible partners. 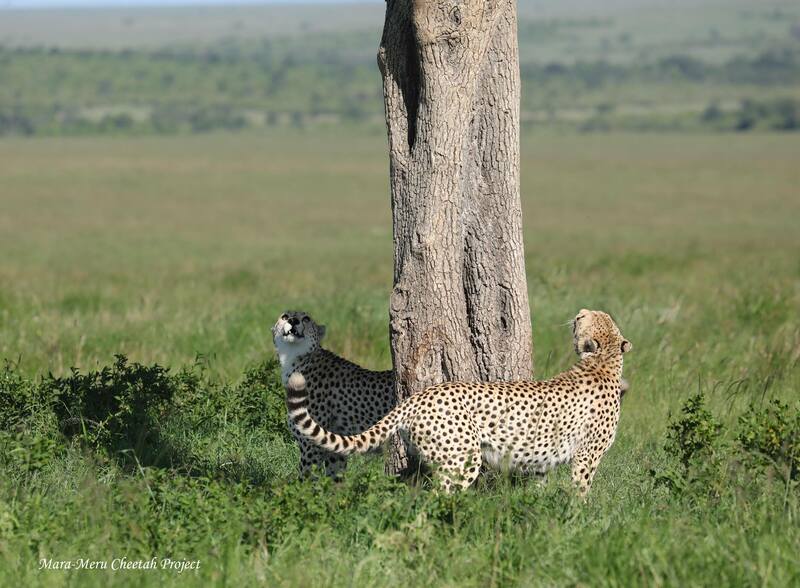 These “messages” pass information about their reproductive status and encourage males to look for the mate if the female is in estrus. 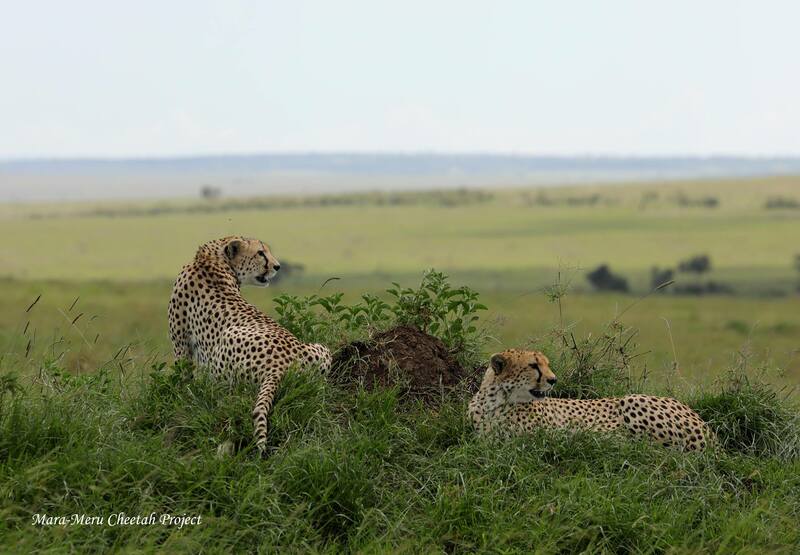 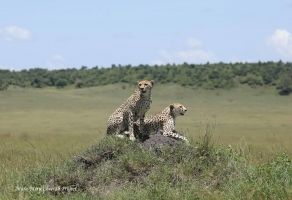 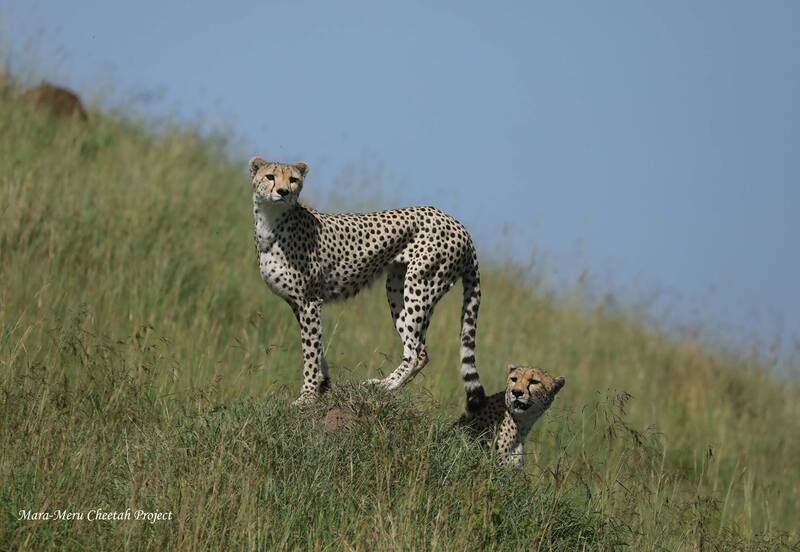 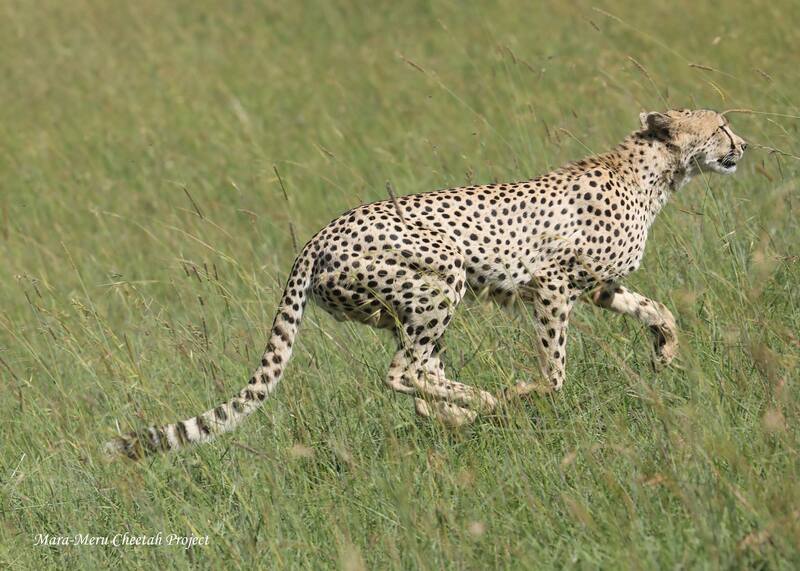 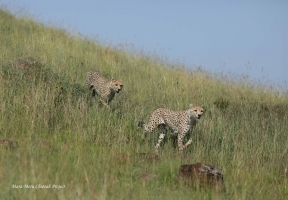 Encounters with the males also induce estrus in cheetah females, and even if the first encounter would not end up with mating, the next one might be successful for the partners. Recently, two Lemai Boys encountered Imani, who had crossed the river to the Triangle side for the first time since October 2013! 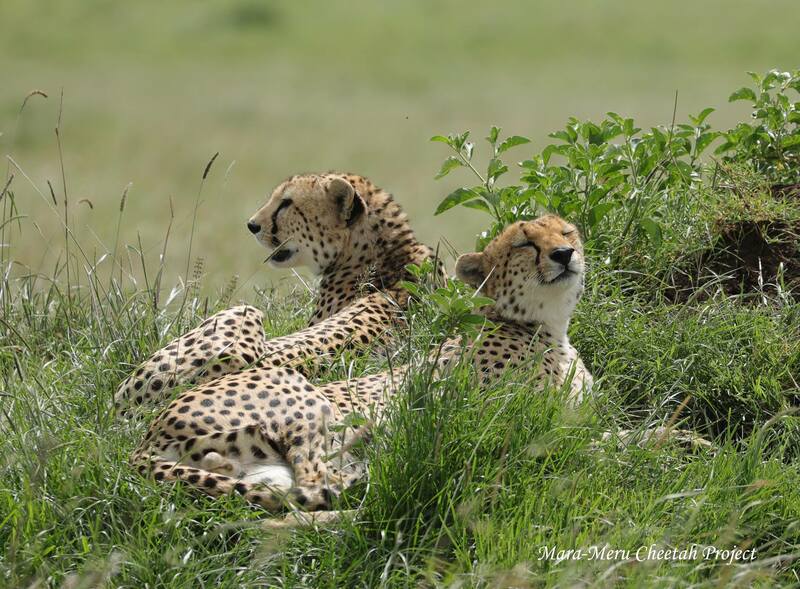 Five years ago, soon after Anani had left her cubs (Imani, Hodari and his brother), siblings crossed the Mara River and started exploring the Triangle. 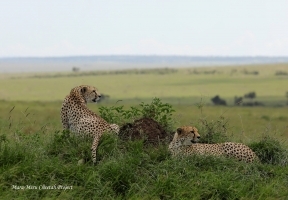 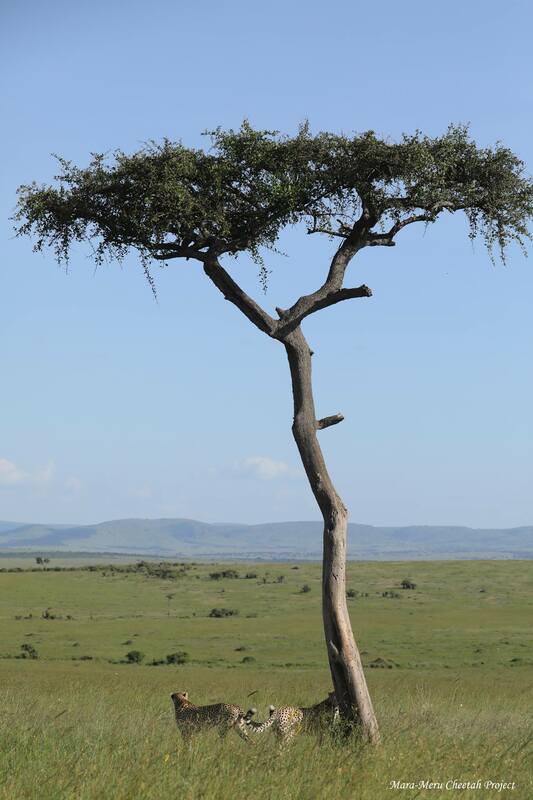 Since that time, Hodari used to visit triangle once in a few months, while Imani was roaming in the Reserve, surrounding Conservancies and northern part of Serengeti. 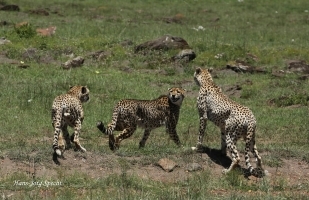 This time, Imani encountered two Lemai boys, who held her trapped for two days. It is not yet known if they mated with Imani, but if she was not in heat at that time, she might come into estrus soon and mate with them or with another male – Olope, whose territory covers a part of the Reserve and the Triangle. 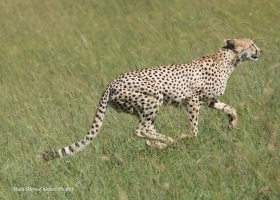 The morning female escaped from the male coalition, Olope was running feverishly at the same area calling intensively until he attracted attention of Lemal Boys. After chasing him far away, they started marking trees indicating their presence in the territory they control. 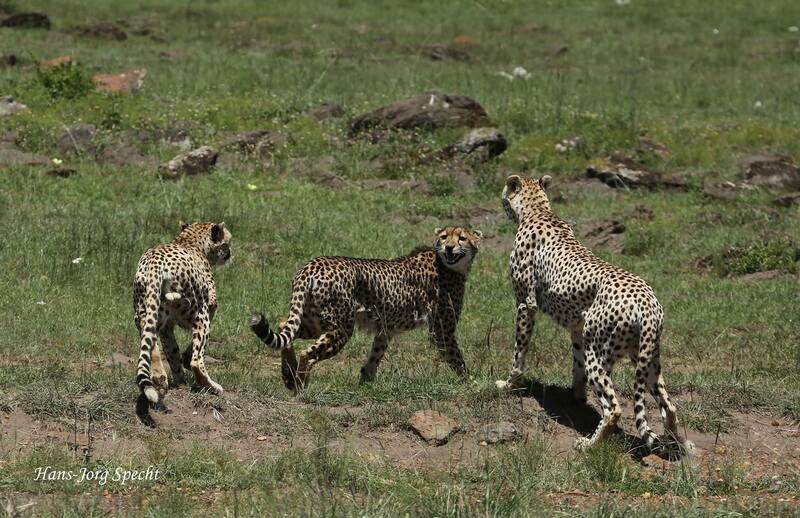 Future observations will reveal if Imani’s encounter with the males in the Triangle was successful.